I have always loved the police, and I don’t mean the band. I mean the wonderful men and women who daily put their lives at risk to make sure mine is safe. When I was 12 years old, I started my babysitting career. Spending time with young children has always been a source of great delight for me, but there was one problem. I was, and still am, very easily scared. One evening on the job, I heard a strange noise across the dark backyard. Without hesitation, I dashed to the phone and called the police. I nervously twitched until I heard the siren blaring down the street. With the blue lights blinking through the front windows, I threw open the door to see my heroes scouring the yard, front and back. I recently attended the Palmetto Center for Women awards banquet honoring women whose outstanding achievements distinguish them as leaders. I was impressed by each honoree but was riveted when Lt. Frieda Wyatt’s and Lt. Maria Yturria’s names were announced. As they strode to the front with their pistols hanging from their sides, I was struck by their poise, grace and strength. If you want to learn more about Lt. Wyatt, Lt. Yturria and their status as positive role models for young people today, read our article on page 52 which features females on the police force. It’s been years since I’ve called the police when hearing strange noises, but I take great comfort in knowing if I’m scared or in need, our remarkable heroes and heroines will streak across Columbia to take care of me. They are here to take care of you too. This holiday season, let’s be sure to express our appreciation for our police force patrolling our city. I hope we can all reach out in some small way to thank them for keeping us safe. 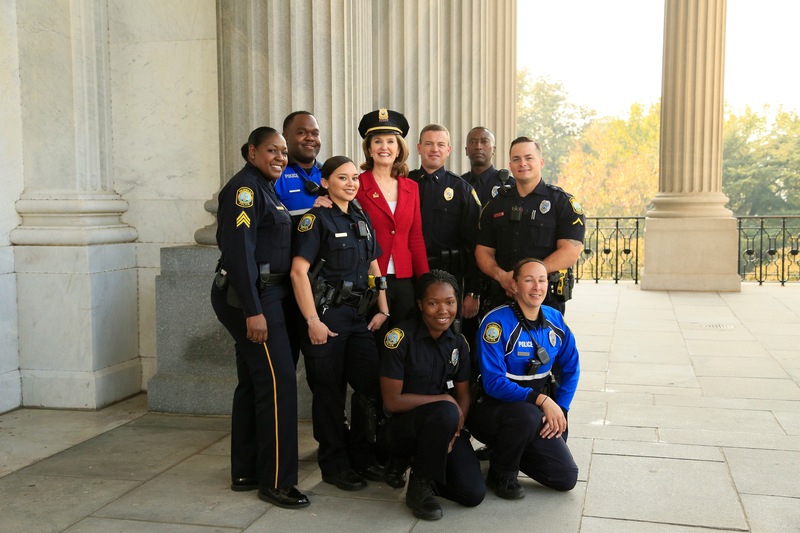 To you … and to our men and women in blue, Merry Christmas and Happy New Year!